Pursuant to a case against the previous outlet store, called CHANEL OUTLET, formerly located online at this site, a Judgment and Injunction of a U.S. District Court held the former owners and operators of the outlet liable for selling replica Chanel products. For genuine CHANEL, please visit the official CHANEL website at www.CHANEL.com. A top priority at CHANEL is to stop sales of replica CHANEL products at online outlet stores. 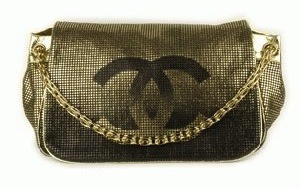 CHANEL monitors the internet for websites who are in the business of selling illegal goods. Action against outlet stores who sell illegal products is taken whenever necessary, including but not limited to civil suits and criminal complaints. Anyone who may be considering a purchase of a replica product online should take into consideration that shopping for and buying fake Chanel directly supports criminal activities. Such knockoff products are against the law. We encourage everyone to avoid replica outlets and fake goods. As a reminder to replica outlets, we are watching and we do take action.